Do you have a knack for working with computers? Are you able to take apart a system that isn't working properly in order to put in back together so that it works better? Or, perhaps software is more your area of specialty and expertise within the field of technology? No matter what your specific area of focus is within the world of computers, you are sure to have the chance to experience a great career field that will allow you the chance to excel and to carve out your niche. It is important to understand that while you are not required to have one specific focus area, you will likely find that by identifying one you will have the chance to stay current with developments and trends. In turn, you will likely have the chance to experience a higher level of success. However, it is important to note that in some situations (typically the smaller business settings) you will be expected to handle practically all aspects as they relate to a technology department. Becoming a computer repair technician is a great career choice that we hope you are successful in. 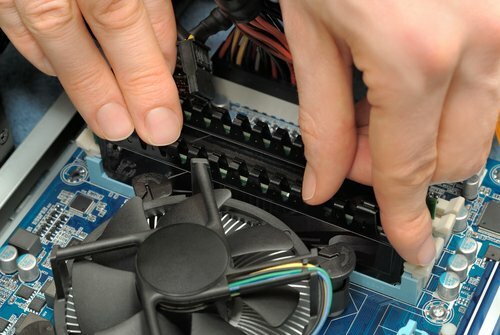 In your capacity as a computer repair technician you can expect to be responsible for tasks such as computer installation, computer hardware, installing and implementing computer software that appropriately fits a company's needs, training employees on how to correctly use new software programs, and troubleshooting any problems that are occurring with regards to technology. Since today's society is so computer literate and practically every business consists of and uses computers in some fashion, it is possible for someone who is trained in computer repair to work in many different venues. For instance, you may become employed by a large corporation who has a separate department that is entirely devoted to technology related aspects. Or, perhaps a small computer based business is more your speed; in this capacity you may spend your time going out to clients to resolve any computer problems that they are experiencing. In addition, current developments and surges in the video gaming industry may make it possible for you to work as a computer repair technician in this field. While it is not necessarily a must, a strong background in mathematics and physics will likely serve you well in this profession. However, no matter what your background knowledge is like, an integral part of your success will surely come from your willingness to be a continued learner where computer repair is concerned. After all, practically every day there are technological advances that are made that will affect how you perform your job. Get started today by finding a computer school in your area. Should you decide to work in a position as a customer service representative, your communication skills will be extremely important. Keep in mind, when a customer tells you about the computer problem they are having you will have to be able to take what you know in order to respond with follow up questions or suggestions for things to try. In addition to working as a customer service representative it may also be possible for you to advance into a position as a bench technician, a website administrator, or a network developer.